A Solemn High Mass in observance of the Feast of the Annunciation of the Blessed Virgin Mary will be celebrated at Washington’s Holy Comforter-St. Cyprian Church on Capitol Hill this coming Wednesday evening, March 25, at 7:30 pm. Reverend Father Jacob Straub will be the celebrant of the Mass. 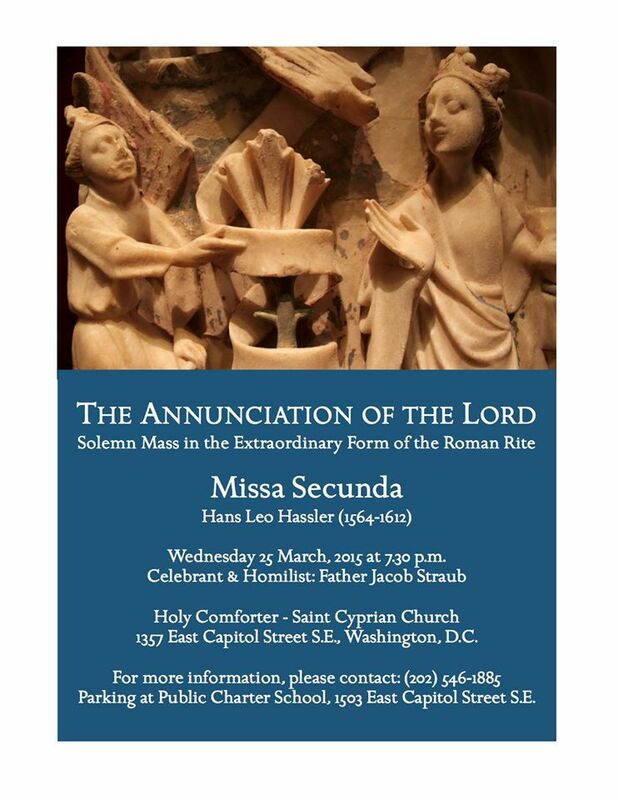 Music will be provided by the choir and schola of St. Luke’s Ordinariate Community.